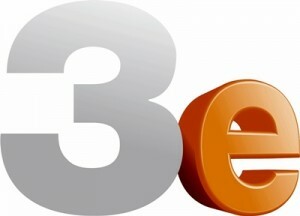 Ireland’s Channel 6 has been rebranded 3e as part of a plan to align it more closely with parent channel TV3.The channel launched on March 30, 2006 and signed a number of distribution deals with key US studios including Fox, NBC and CBS Paramount. TV3, which acquired the channel for approximately €12m in July, will reposition it as a pure entertainment offering and, using the relationship between ITV1 and ITV2 as a model, will put programmes that support key TV3 shows such as The X Factor on its digital sibling. “Our strategy is to develop a multi-channel Irish broadcaster and that’s why we acquired Channel 6,” TV3 group chief executive David McRedmond told The Irish Times.